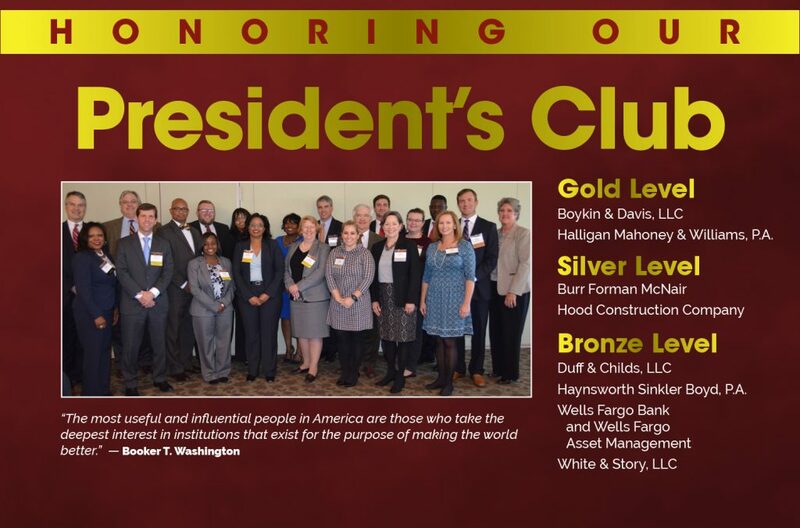 Join the prestigious President’s Club! The challenges school board members, superintendents and the education community face to raise student achievement have never been greater. Higher federal and state standards, coupled with decreasing revenues, make it a daunting task. Your membership in the SCSBA President’s Club allows SCSBA to expand services to members and provide invaluable statewide training and networking opportunities for the district’s leadership team — the school board and superintendent. President’s Club membership not only shows your support for South Carolina’s public school leadership teams, it also provides an unprecedented opportunity to share information about your company or organization and to talk with educational decision-makers. Download the President’s Club flyer here, or for more information, contact Gwen Hampton, Director of Leadership Development. There are three levels in the President’s Club. Depending on your level of participation, your company receives a variety of special opportunities, services and valuable information.